Texas artist Ragan Gennusa is a former Texas Longhorn football player whose first love is painting. Is it any wonder that the longhorn is one of his favorite subjects? 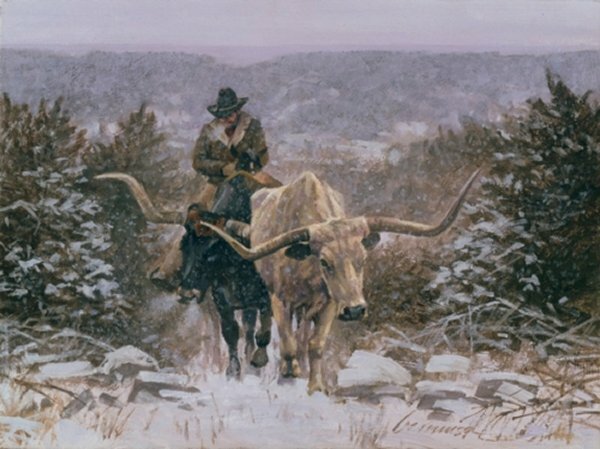 "Climbing through the Cold" is a special painting that shows the relationship of the cowboy, his horse and his longhorns. Cold winter weather is only one of the many travails the cowboy must endure.